Tingling, burning and numbness - oh my! 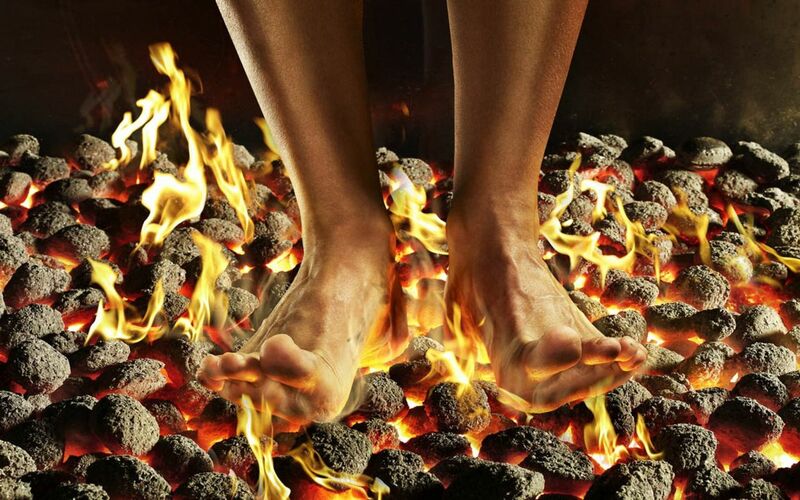 I often work with patients who feel like their feet are numb, that they have a sock rolled up under their toes when there is nothing there, or they have burning and tingling sensations. These are all signs of peripheral neuropathy. This blog fits well under the category of "diabetes and your feet" but while diabetes is the most common cause of peripheral neuropathy, but it isn't the only one. Present or past alcohol abuse, pathological compression of a nerve in the ankle or foot, trauma or even back problems can also cause these same symptoms. In order to understand what neuropathy is, it's helpful to have a basic knowledge of how nerves work under 'normal' conditions. The smallest unit in a nerve is an axon. Axons bundle together and then a few of these bundles together form the nerve itself. Each axon has a lining around it called myelin. Myelin electrically insulates each axon and is responsible for increasing the speed of a signal through a nerve. There are junctions between segments of myelin called nodes (of Ranvier) which is where electrical signals are generated. Think of it like a powered hot wheels track. The car would be the electrical signal and the spots on the track that charge the car would be the nodes. Now what happens in neuropathy is that the myelin (electrical insulation) of the nerve is damaged, decreasing the speed at which the nerve signals are sent. With additional gaps in the myelin, tingling and burning sensations are picked up by the brain. When the primary symptom of neuropathy becomes numbness, this signifies a greater amount of damage to the myelin and tells us that the ability for the nerve to recover normal function is low. Damage to myelin occurs in diabetes due to increased blood glucose. Like any person, pet or plant, nerves require a specific type of environment. Increased blood glucose changes the body's pH level, meaning that the chemical environment becomes hostile to nerves. The higher and more out of control the blood sugars are, the worse the chemical environment and the worse the neuropathy will be. Because of the altered pH in the body from elevated sugars, all nerves in the body are at risk of damage. This includes nerves that help you see, smell, feel, and so on. The most important thing to do in order to manage neuropathy is to decrease or stop the root cause of the problem. In diabetics, this means controlling blood sugars very carefully to keep the nerves happy and healthy. If some damage has been done already, it may or may not be reversible. Even if some damage is irreversible, controlling blood sugars minimizes the risk of further damage. There are additional treatments available for neuropathy. Some of these more address the symptoms, but there are a few treatments that actually help nourish the nerves back to health. Come in and talk to us if you suffer from peripheral neuropathy and discuss your options for care.